We'll pack three delicious varieties in one generous Jumbo tray pack: Navel Oranges, sweet Ruby Red Grapefruit and easy-to-peel juicy-sweet Tangelos. In winter and spring we pack our finest premium oranges and tangerines with Ruby Red Grapefruit. It's a beautiful presentation. Select the Deluxe option to add Florida Marmalades, Orange Blossom Honey and Chocolate Coconut Patties. Also available with navels, tangelos and tangerines. 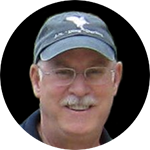 Ordering for December Shipping, including Christmas and Hannukah? 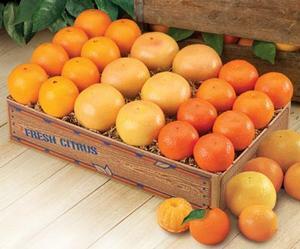 Check out our free shipping special offering Navel Oranges, Orlando Tangelos and Ruby Red Grapefruit. Sign up to be notified when Bonus Box is in season. The three variety Bonus Box is available November to January. Deluxe style not available to AZ, CA, LA, TX, OK, NV due to USDA regulations.